Joanne Bernstein is an educator, author, consultant, speaker and manager for non-profit organizations, primarily in the field of arts and culture management and marketing. She was associate professor of Arts Management at the Kellogg Graduate School of Management for eight years and professor in the Business Institutions program at Northwestern University for ten more years. She taught in the MBA program at the Helsinki School of Economics as a Fulbright senior specialist and has taught several times in the Masters program in Arts Management at Bocconi University in Milan, Italy. Ms. Bernstein has extensive experience as a speaker, seminar leader and workshop facilitator across the United States and internationally. Engagements include speaking and lecturing in Seoul, S. Korea and Tokyo, Japan; a week of full-day seminars in Moscow, Russia by invitation of the Cultural Minister of the U.S. Embassy; speaking and consulting in several cities in Australia by invitation of the Australian Arts Council; leading a seminar for theater producers in Denmark; guest speaking at the annual conference of the Arts Marketing Association of Great Britain; international seminars on cultural economics and corporate sponsorship of the arts in Buenos Aires and Caracas, and international arts management conferences at the Helsinki School of Economics, Bocconi University in Milan, University of Valencia, and Queensland University in Brisbane, Australia. She has done many workshops and lectures across the U.S. as well. Ms. Bernstein wrote Standing Room Only: Insights for Engaging Performing Arts Audiences, 2nd Edition, published in April 2014 by Palgrave-McMillan. This is a comprehensive and newly revised sourcebook with up-to-date marketing strategies and techniques for theater, music, dance, and opera organizations. She also wrote Arts Marketing Insights: The Dynamics of Building and Retaining Performing Arts Audiences, an inclusive text for arts managers and students of arts management, published by Jossey-Bass/Wiley in 2007. This book has been translated into Japanese, Spanish, and Korean. She also co-authored the original version of Standing Room Only with Professor Philip Kotler, published in 1997 by the Harvard Business School Press. This book was published in Chinese, Russian, Spanish, and Korean. She has also published articles on arts marketing, strategic planning, and strategic collaborations in the Harvard Business Review, the California Management Review, Economia della Cultura, the International Journal of Arts Management, and other publications. As a marketing and strategic planning consultant, Joanne has consulted to diverse non-profit arts organizations including theaters, dance companies, operas, symphonies, chamber music groups, presenting organizations, museums, foundations, and trade organizations. She served as executive director of Lake Forest Symphony in Lake Forest, IL and interim executive director of Luna Negra Dance Theater. She has facilitated the job search for several organizations for managerial positions including executive director, development director, and marketing director. She is a member of the editorial board of the International Journal of Arts Management. 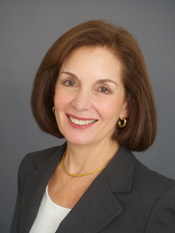 Joanne Scheff Bernstein is a graduate with distinction from the Kellogg Graduate School of Management at Northwestern University and is a member of the Beta Gamma Sigma Honor Society in business.